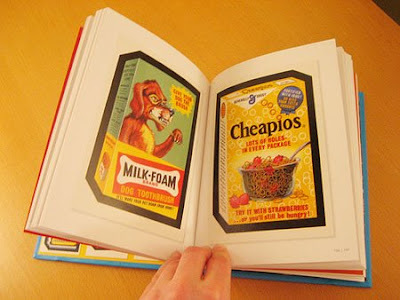 A new, very cool and cleverly-designed book dedicated to Wacky Packages, the advertising parody stickers that were stuck to practically every part of my youth. They sell them at Target and the kids love them! We had a door that was utterly destroyed by my brother's collection.